Cinematographer/photographer John Brown spent 150 days in the Arizona desert filming honeypot ants, Myrmecocystus mimicus. He was able to get some incredible footage of multiple queens founding a nest together, as well as nest raids, etc. Check out the video clip about the queen and photographs in the article Honey Ant Queens Share the Throne, as well as this YouTube segment from the BBC about a honeypot colony raid on another, smaller honeypot nest. With some digging, I found that AntsEngland has also loaded up the entire series on YouTube, starting with the first segment. 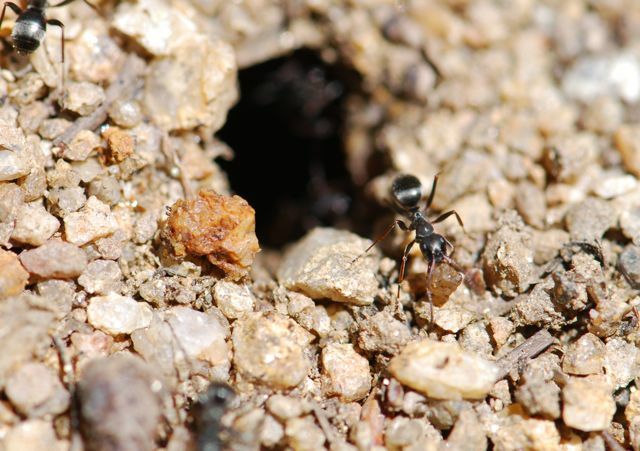 After you watch the series, look at the bottom of John Brown‘s website, you can also find a link for a free .pdf file of a BBC Wildlife Magazine article on honeypot ants. Note: The following post is not for the squeamish. You probably shouldn’t watch the videos right before lunch. Seems like there has been a lot of press lately about the “zombie ants” caused by fungi of the genus Cordyceps. 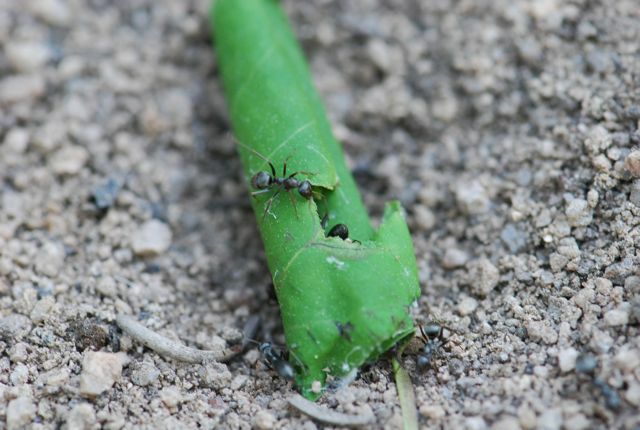 The afflicted ants stagger about before they die, hence the name “zombie.” At the time of death the ant typically attaches itself to a leaf and becomes a stiff fungal-spore salt shaker. Of course, myrmecologists have known about Cordyceps for a long time, but the new interest has lead to some cool new discoveries. In the article by Bateman, it is suggested that the chemical produced by the fungus that makes the ant stumble around may be similar to LSD. 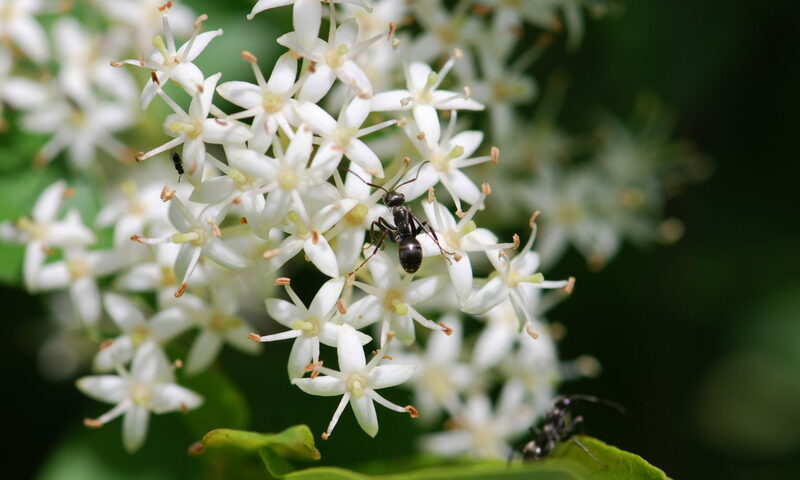 Also, weaver ant workers may be able to recognize diseased individuals and may have some behaviors to cope. Do you think this research would have gotten as much press if they had merely said the ants were infected by a fungus? 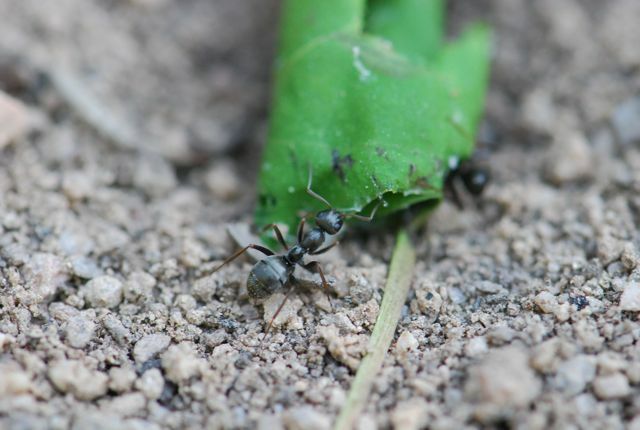 Daytime bites for zombie ants: Final death grip for the living dead of the insect world comes at midday by Susan Milius at Science News explores fungal infection of Camponotus leonardi. This week we’ve been watching The Life of Birds DVD set narrated by Sir David Attenborough. Have you ever seen the series? If you love nature you should, because it is so well done. In one scene a rufous woodpecker from India is shown breaking open an ant nest and then busily eating ants. It piqued my curiosity, so I decided to see what else I could find out. Although I didn’t find the exact scene online to show you, I did find videos of rufous woodpeckers eating ants. This first video is rather dark, but shows two young birds feeding on ants. It appears that these woodpeckers from the Kerala region of India specialize on ants. Vishnudas (2008) cites an earlier worker from 1912 who found 2,600 ants in the stomach of a rufous woodpecker. Although this video is shaky, it shows another woodpecker going after ants. (Makes you appreciate the quality of the footage from the Attenborough DVD.) 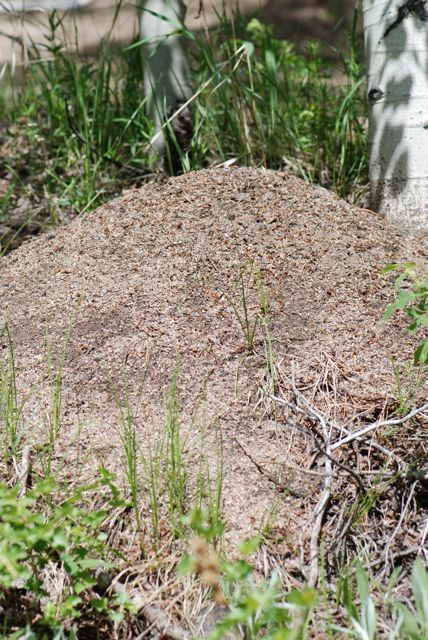 It cuts away as the ants come rushing out of their nest. It turns out that Rufous Woodpeckers, Micropternus brachyurus, not only use ants as their main food source, but also depend on Crematogaster ants for nesting sites. 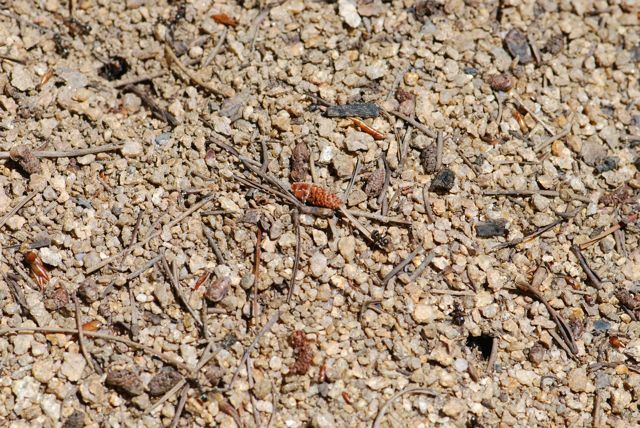 The birds work together to open up the carton nests of Crematogaster ants, and then build their own nests inside. In his paper, Vishnudas also reports that several other species of birds follow the rufous woodpeckers and feed on the escaping ants when the rufous woodpeckers tear ant nests open. In North America, there are woodpeckers specialize on ants, as well. Northern flickers probably eat the most ants. 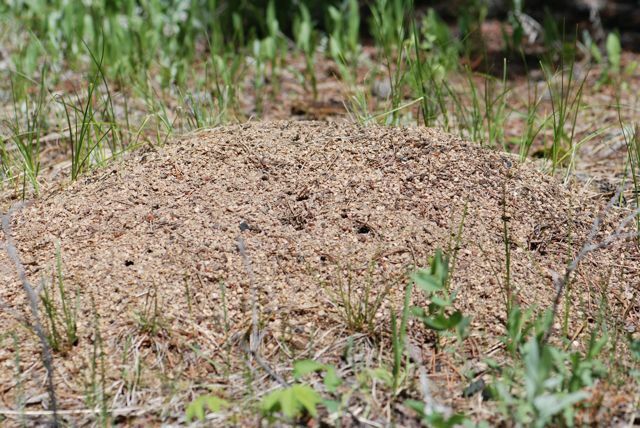 They spend much of their time feeding on the ground around anthills. One flicker was found to have 5,000 ants in its stomach. Doesn’t it look like the flicker is trying to dig out larvae and pupae rather than workers? Pileated woodpeckers often cut slots into tree trunks or logs to get at carpenter ant nests inside. The woodpeckers will continue to return to the same opening over time, picking off ants that peer through the opening or that rush out to protect the nest. It is fascinating to find out about these birds that are so dependent on ants for survival. Have you seen any of the Attenborough series?